Jordan Brand vowed to give their customers a threat this month and the release of the new Air Jordan 2011 Q Flight is one of those surprises this July. 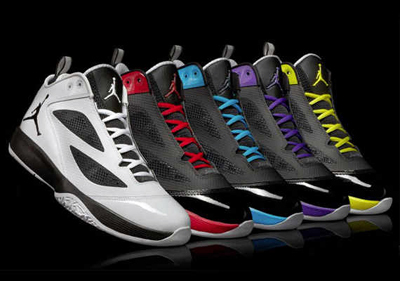 The Air Jordan 2011 Q Flight is now available in the market after it debuted in five colourways this July, the Black/Orion Blue, Black/Varsity Purple, White/Black, Black/Varsity Red, and the Black/High Voltage. The new Air Jordan 2011 Q Flight features the AJ 2011’s Quickness cushioning system, which was an attractive feature especially to those who are looking to play with a lot of speed. This shoe is currently making huge buzz in the market so what are you waiting for, grab one now and experience excellence.